Take your employees to the next level! Go above and beyond your guest’s expectations! With the Intermediate Flight training program you will receive several modules, with instructions and scenarios that tanning salons face on a day-to-day basis. The Intermediate Flight training program will help take your employees to the next level. This training will elevate your salon’s level of professionalism and teach you how to consistently deliver a memorable guest experience every time. With the Intermediate Flight training program you will receive several modules, with instructions and scenarios that tanning salons face on a day-to-day basis. Learn how to not only handle these situations, but go above and beyond your guest’s expectations. These detailed and in-depth lessons feature engaging multimedia, music and interactive click-maps that keep you intrigued and motivated. Continue your learning with the Intermediate Flight modules. The more you know, the more you grow! Recognize the Three Guest Types. Recognize steps 1, 2 & 3 of the Seven Steps in the Sales Process: Greet Guests, Establish Rapport, Explore and Quantify.Uncover each guest’s personal motivations. List the Five Elements of Personal Selling. Most guests will play by the rules, but once in a while you’ll need to assert your authority to ensure they do. When appropriate, you can give the guest something to say “Yes” to as well, instead of leaving them with a flat “No”. Learn the fine line between effectively handling guest complaints vs. standing firm when you simply must say “No” to a guest for their own good. If you violate salon policy – even in an effort to keep a valued guest happy – it’s a danger to your guest, a breach of your job responsibility, and a disservice your salon. However, your “No” shouldn’t be the end of the discussion… when up against a “non-negotiable” like salon policy, you have a perfect opportunity to wow your guest with creative options that show you’re willing to go above and beyond to help resolve their situation within the boundaries of salon policy. Explain the procedure for handling guest complaints. Cite answers to questions guests commonly ask. Overcoming Objections, Closing the Sale, and Follow Up. Organize action-oriented phrases to help soothe an irritated guest. Apply the Guest Experience Principle: Find the Yes in a No. Enhance your ability to recognize, respond to and report unpredictable UV overexposure emergencies. Injury is defined as any circumstance or incident resulting from the use of a tanning system that prompts a guest to seek medical attention. Employees must understand the importance of compiling accurate information as part of the response as injuries are “alleged” until they can be substantiated. The procedure for responding to UV overexposure injury must be in accordance with your state’s requirements and salon policy. Recognize erythema, UV overexposure or similar injury. Discuss the procedure to report an injury or alleged injury. Apply the Guest Experience Principal: Theme to Organize Impressions. A salon visit without a great tour is like a meal without an appetizer. Learn to serve up a 5-star tour experience that’s sure to end in sweet rewards. Learn how to use the salon tour to educate guests, showcase your facilities and then pull it all together with your own memorable Signature Moment. A salon tour should be more than just a walk-through of your tanning rooms. An average tour will educate and inform your guests. A good tour is customized to your guests’ needs and helps create interest in your products and services. But, a great salon tour … creates anticipation, a desire to buy, and leaves guests with a positive and lasting impression of your salon. Recognize Step 4 of the Seven Steps in the Sales Process: Tour & Advise. Stage a memorable tour to showcase your facility. Gather guest info to recommend appropriate next steps. Advise guests in ways to maximize their tanning experience. Apply the Guest Experience Principle: Signature Moment. 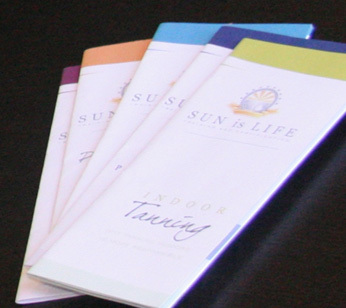 Tanning memberships offer your guests a level of exclusivity, convenience and value. They also provide your salon with a predictable source of revenue. Learn these simple steps and you’ll soon discover the ART of finding your Membership Mojo. Learn to effectively promote, recommend and sell salon memberships on a consistent basis and you’ll provide greater guest value and build a predictable and reliable revenue stream for your salon. Selling memberships isn’t rocket science, but it is an ART. Learn three simple steps that will help you find your “membership mojo”. Use the ART sales concept to Attract, Recommend & Transact. 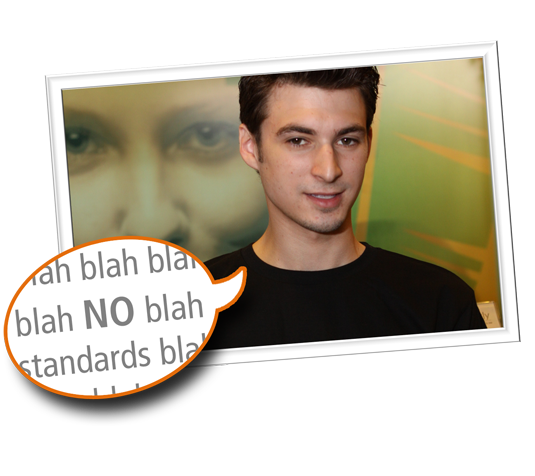 Discuss membership program basics and up-selling. Cite promotional ideas and long-term memberships. Discuss the benefits of a referral program to attract new members and reward loyalty. Explain the different forms of payment including electronic funds transfer (EFT). Apply the Guest Experience Principle: Providing Value Beyond Goods & Services. Lotions should be a great profit center for your salon. Understand the different types of lotions, their purposes and features so you can meet specific guests’ needs and sell the appropriate lotions. Bottom line: love your lotions and they’ll love you back. Lotions should be a great profit center for your salon. 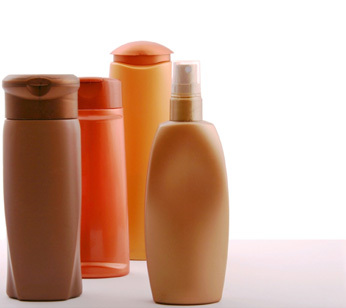 When you effectively communicate the benefits of your lotion product lines, you’ll be able to address their specific needs and increase your bottom line. Explain different lotion types and features. Cite the lotion characteristics that trigger a guest’s purchase. Apply the Guest Experience Principle: Show, Don’t Tell. Offering sunless tanning at your salon allows your guests more choices and expands your revenue opportunities. Get to know the ins and outs of the sunless process and realize the potential of this growing market. Whether offered as a spray booth or airbrush system, training is your key to understanding, operating, and maintaining your salon’s significant investment in sunless services and technology. Get the right knowledge and training about sunless systems to help you attract new guests and offer current guests exciting new options. Follow the guidelines to expand your salon’s service lines and boost your revenue on your way to sunless success. Provide guests with instruction for use of sunless systems. Discuss why training is key to sunless success. Explain procedures for maintenance of sunless systems. Cite sunless options and expectations. Apply the Guest Experience Principle: Markets of One. Manage the arguably most critical component in your tanning salon. Master device operations while ensuring a personalized tanning experience. 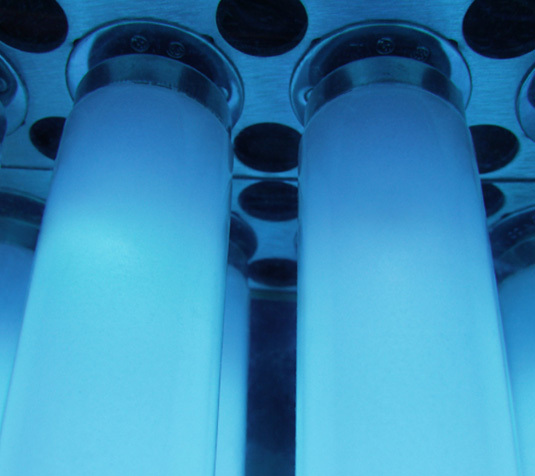 Whether you call them “tubes” “lamps” or “bulbs”, sunlamp performance is directly related to the tanning system in which it is installed. The exact same lamp may result in different outputs not only in the same bed but also in different sunbeds and booths. It’s necessary to know all you can about your tanning equipment. Learn the long list of factors that influence lamp output, the exposure schedule and determine maximum timer interval for all the equipment in your salon. Lights Out Tanning system maintenance is a critical part of your salon’s success. Stop making excuses and gain practical, proven methods for maintaining equipment to operate at peak performance. Along with being clean, equipment needs to be kept in optimal working order. When a bed is out of service for any reason, your sales and profits diminish. Gain practical, proven methods for maintaining equipment at peak performance. Learn how keeping tanning units maintained at all times is your best bet to keeping guests satisfied and continue profitability! Explain procedures for correct operation of tanning devices. Discuss the types of tanning lamps and understand lamp compatibility. Provide guests with instruction for equipment use. Apply the Guest Experience Principle: Filling Work with Intention. 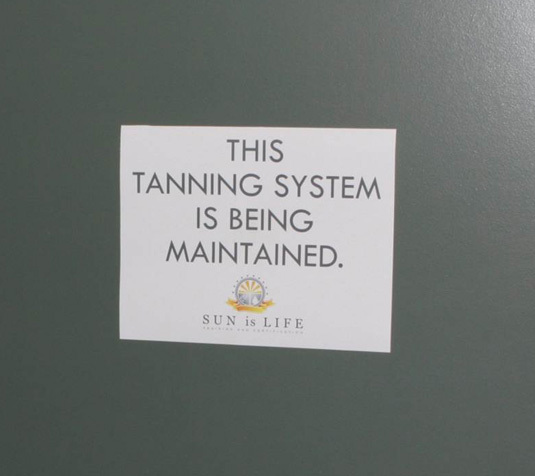 Tanning system maintenance is a critical part of your salon’s success. Stop making excuses and gain practical, proven methods for maintaining equipment to operate at peak performance. Identify the appropriate replacement lamps. Apply the Guest Experience Principle: Performing a Sensory Assessment.